To find the church, look out for "The Old Court House" pub and St Mary's church is opposite behind the green. A straight staircase with a very sharp bend at the top leads to a first floor ringing room. A banister rail has been added to ease the transition around this corner. 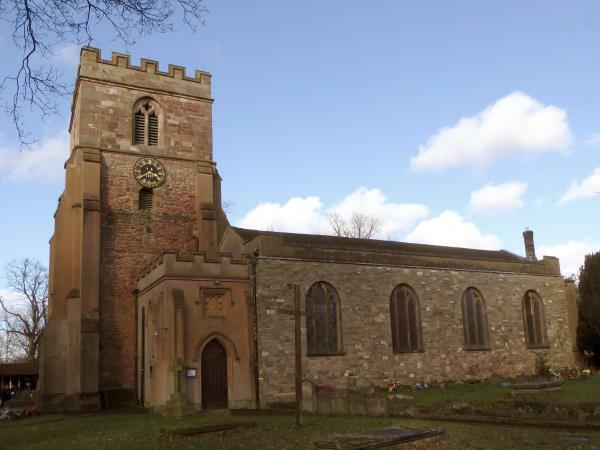 Local attractions include a large a park with child's play area and duck pond behind the church. Within 3/4 mile there is Broadfield House glass museum, Compton Drive, Kingswinford. Local Amenities include: • "The Old Court House" opposite the church which has a restaurant, serves bar food, It usually has one guest real ale and Bathams bitter. • "The Kingswinford" about 1/4 mile on from church toward Dudley, this is a Whitbread Brewers Fare, which serves food and has "Charlie Chalks" kids play area. • McDonalds next to "The Kingswinford"
Kingswinford village centre has four pubs, four Balti houses, one licensed cafe, which also opens in the evening, and several shops selling most things. There are Nat West, Lloyds TSB and HSBC cash machines located here to. There are public conveniences in the village centre by The Cross Inn, although they are not recommended. Ringers and parties travelling with ringers will be given access to the church centre toilets.